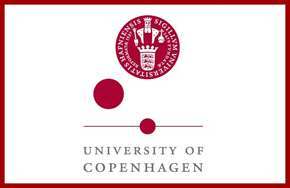 On 2-5 September 2015 the 14th Mycenological Colloquium was held in Copenhagen, Denmark. During the conference A. Vassilogambrou presented the new Linear B texts from Haghios Vasileios (Laconia). Daniele Tripaldi "From Signs to Writing: Human and Divine Languages in the Gospel of Truth (NHC I,3 / XII,2)"
Live video streaming on YouTube. 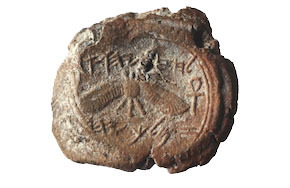 A seal impression of King Hezekiah of Juda (722-698 BCE) was exceptionally found in situ in Jerusalem. The inscription mentioning the king encircles a winged, radiating sun and is flanked by two Egyptian ankhs. Maurizio Del Freo Francesco Di Filippo "LiBER:un progetto di digitalizzazione dei testi in lineare B"
A new short proto-Canaanite inscription from Khirbet Qeiyafa is presented in a recent article published in the Bulletin of the American Schools of Oriental Research (BASOR 373, 2005, 217-233). 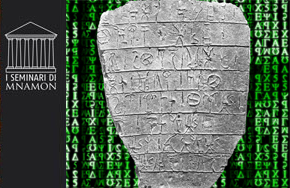 The dating of the inscription is ca. 1020-980 b.c.e. 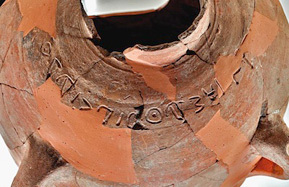 This short inscription was incised before firing on a storage jar. It includes two personal names: Beda‘ and ’Išba‘al. The article is available at Haggai Misgav’s personal page. 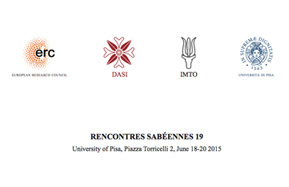 The 19th International Workshop of Ancient South Arabian Studies "Rencontres Sabéennes" will be held at the Department “Filologia, Letteratura e Linguistica” of the University of Pise, piazza Torricelli 2. The preliminary program is available here. 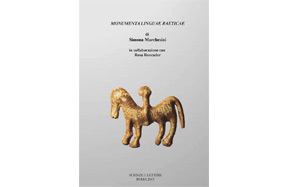 The corpus of Rhaetic inscriptions Monumenta Linguae Raeticae by Simona Marchesini and Rosa Roncador was published in April 2015 (publisher "Scienze e Lettere", Rome). The volume contains both images/drawings and an epigraphic description of 300 Rhaetic inscriptions together with indexes, thematic tables and an alphabetic list. For the first time two different chronologies are proposed (when possible) for the inscribed supports: the epigraphic one deduced from frequency distribution and the archaeological one. 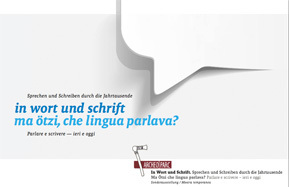 The thematic exhibition "Ma Ötzi, che lingua parlava?” Parlare e scrivere – ieri e oggi ("But which language did Ötzi spoke? Speaking and writing-yesterday and today") will open on June 21st and continue until the end of November 2015 in the Archeoparc in Val Senales. The theme is the origin and development of the language and writing system, from the beginning to nowadays. The exhibition is curated jointly by Johanna Niederkofler, museum director, and Simona Marchesini, Alteritas-Interaction among people. There will also be a series of special events during the exhibition. More information here. 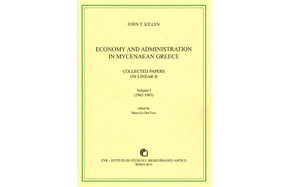 The book by John T. Killen, Economy and Administration in Mycenaean Greece. Collected Papers on Linear B, M. Del Freo (ed. ), 3 Vols., Rome, CNR edizioni, 2015 (Incunabula Graeca, CIV:1-3) has just been published. The book collects John Killen’s articles on the Mycenaean palace economy. 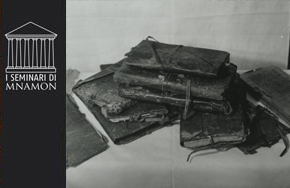 The collection includes 73 items from a total of 120 published from 1962 to 2012 plus 2 unpublished articles and is divided into three volumes (I: 1962-1985, II: 1986-2003, III: 2004-2012). The third volume contains a concordance with the original publications as well as three indexes (Words, Ideograms and Texts).